A match list question is a drag and drop item type that gives the student a list of stimuli, each corresponding to a blank response location. The student must move a set of predetermined answer choices to the blank response locations. In the Compose Question field, type the instructions for the students to follow. Type the stimuli in the stimulus list and then type in the possible responses. The stimuli will show up in the first column and then the possible choices will be shown below. Click Add to add more stems or responses. Click on the garbage icon to delete any. 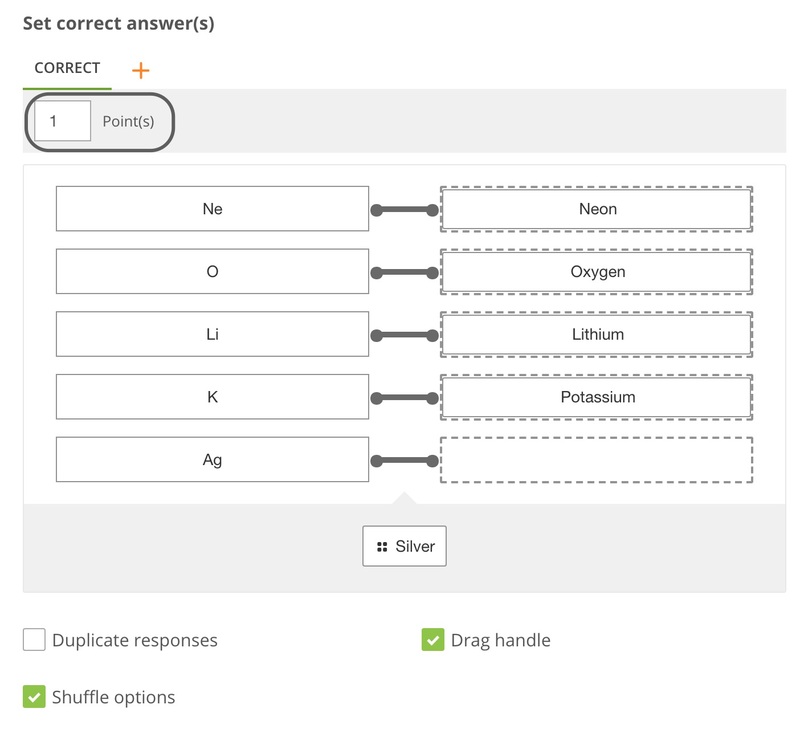 In the Set Correct Answers section, enter the point value for each correct response, and then drag the correct response to each matching location. You may also check the boxes to allow duplicate responses, show the drag handle and shuffle the options. Click on the carat to show More Options. 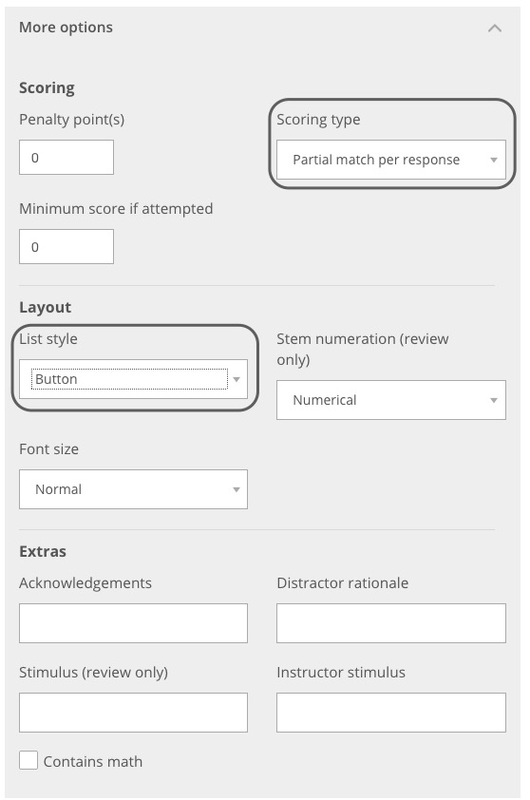 You have the option to select the scoring type to be exact match, partial match per response or partial match. You can also change the formatting and layout. Before you publish the item, validate that the answers are functioning correctly. To do this, select the answers in the preview pane and click the Show Answers box. 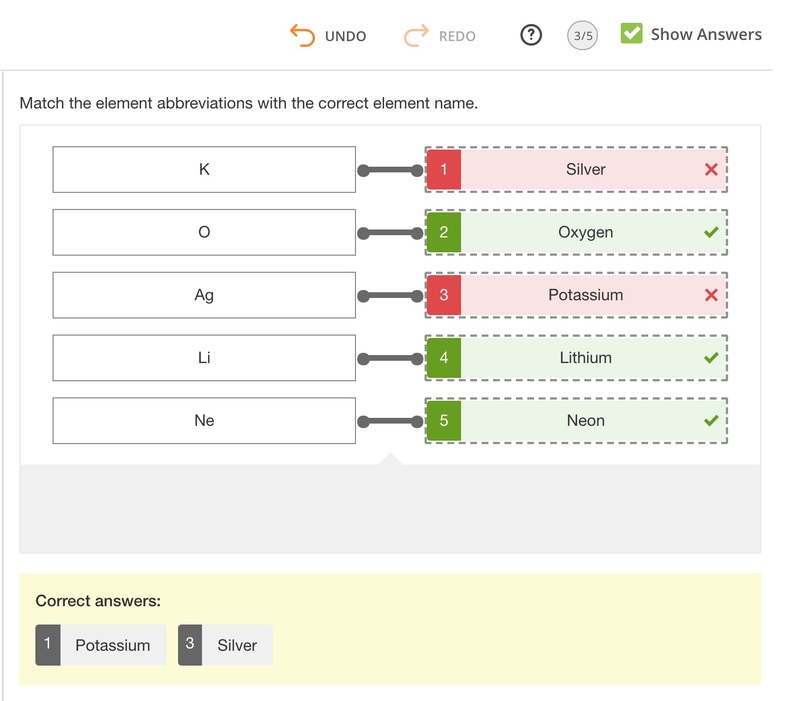 Correct answers should be highlighted in green and incorrect answers should be highlighted in red.